If you're the proud owner of an iOS or Android device, you should be making the most of it. Casual gaming apps are gaining popularity on both these platforms that not just keep you engaged but offer a whole new level of fun. One of the most popular genres out there are certainly running games. With many games that offer running features it can be difficult picking the best game to fulfill your gaming needs. We did our research and we have for you one incredible running game – Nolly By Nature. What is Nolly By Nature? 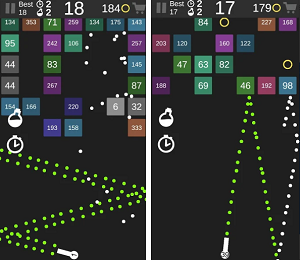 Nolly By Nature is exciting and intense action game developed on android and IOS platforms, for all people that want to play challenging games and test their precise reactions. This game is based on geometry dash gameplay, giving the users an option to go through challenging running jungle adventures with only tapping and touching the screen. Every passed level gives more difficult next level that needs to be passed for saving and getting the kitty home safe. This amazing game offers highly addictive gameplay with different levels and obstacles that need to be passed for high achievements and saving Nolly. The game offers the users about 15 different levels that are increasing in difficulty, pushing the users to get their gameplay on the next level and get Nolly safe home. 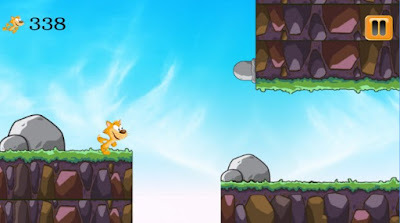 On every level, there are many obstacles that the user needs to pass running through the jungle and many coins for collecting on the way that can help the user progress on the game. Also, the coins are available for users through in-app purchases. Download this game on App Store and Google play for free.